All day, I’ve lived in this bubble of excitement. You could probably run a small appliance on the energy coursing through my veins today. All because of snow. Earlier in the week, we had forecasts of snow for this weekend, which had a predicted arrival of late Friday / early Saturday. It was like waiting for Christmas in many ways. And, to be honest, I squealed with sheer delight when I looked out the window earlier today and saw what looked like the inside of a gigantic snow globe. The thrill of a possible ‘snow day’ was relived, although ‘snow day’ has absolutely zero relevance in my life today, other than being a day during which snow has fallen. But, I love it all the same. I honestly don’t know what it is specifically about snow that I love so much. As I was out this evening, the biting chill of ice shards hitting my face were not so lovely. But, watching the snow swirl in the street lights and that which had fallen blow and drift on the sidewalks, it all provided a bit of beauty and life oddly enough to an otherwise lifeless landscape. Everything seems so lifeless in winter, particularly this far north. Yet, snow always seems to provide this sense of something else—a metamorphosis of sorts into a new beginning, a purification of all that was, a chance to reset and recalibrate. The world seems utterly transformed and somehow different after a significant snowfall. Each season has its purpose; to me, winter and specifically snow is all about that transition from what was to what can be. Perhaps that is why I love snow so much. Never has a bus ride home, particularly on the night bus, passed so quickly. It may have been the combination of Radiohead and snow (as well as a few glasses of red wine and the residual high from an evening of great company amongst good friends), but it was fabulous. Perhaps the loveliest of all things this evening was walking on freshly fallen, completely-undisturbed-by-anyone-else snow. The sound and the silence at once enchant me. 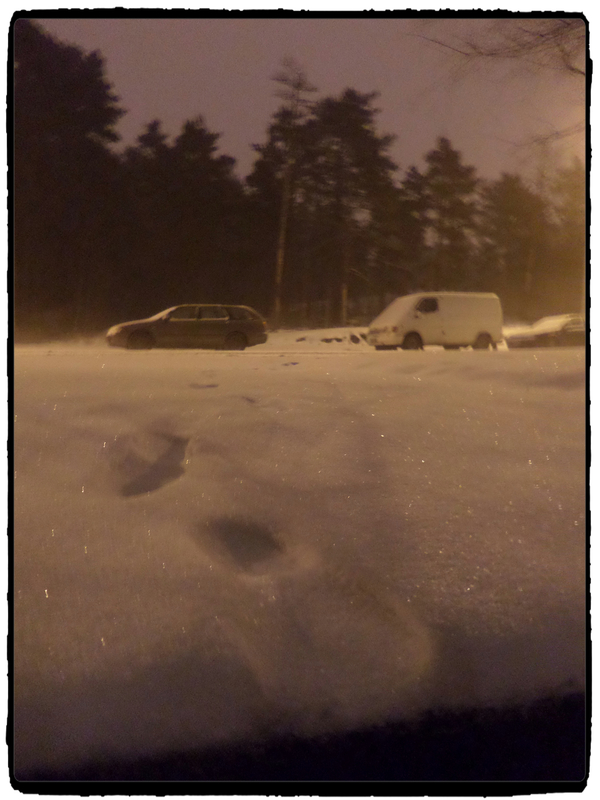 As Helsinki braces itself for a massive amount of snow, I know I should hope for less of it. But, honestly and for purely selfish reasons, I am screaming ‘let it snow, let it snow, let it snow’ as loud as humanly possible.